TRNS will have a delayed opening today, Friday, 3/1/19 due to inclement weather. Morning child care is canceled and all morning and full day classes will begin at 9:45 am. Toms River Nursery School, established in 1945, has been serving the families in the Toms River area for 71 years. Our school is a non-profit parent cooperative school, owned by the parents and students currently enrolled. Parents are encouraged to be active participants in their child’s pre-school experience. Visits to the classrooms for events are common, but parents also can be seen reading a story to our children or assisting with a class project. As a teacher, one must invite curiosity, encourage creativity, and inspire ideas. The teacher must set a stage that stimulates the need to ask questions and seek solutions while allowing the child freedom to develop his or her own style of “work-play”. Independence is encouraged with the clear understanding that it carries with it a social responsibility. Finally, the teacher stimulates and inculcates in the child a feeling for aesthetic and moral values by her own enthusiasm and attitudes. 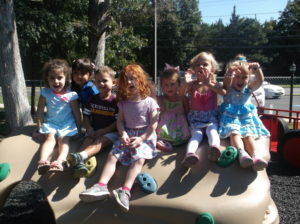 Toms River Nursery School offers toddler, nursery and pre-kindergarten programs that encourage learning through play and discovery. Our goal is to educate each child in a happy and healthy atmosphere that offers learning experiences that will stimulate each child’s curiosity, and develop an excitement for learning. All Toms River Nursery School programs adhere to an October 1st cutoff date and require children to be toilet trained. Call our school (732-349-4939) to set up a tour of our facility. We look forward to meeting you and your child soon. TRNS will be closed today, Wednesday, 2/20/19. Stay safe and enjoy the snow ❄️⛄️! TRNS after school child care is canceled for today, Tuesday, 2/12/19. Dismissal for all children will be at 3:15 pm.